As soon as locks were invented, the locksmith profession followed. In the early days, locksmiths may have focused their craft primarily on replacing, repairing or unlocking locks. Today, however, the best technicians, like our local team of 24-hour locksmiths in Lockhart, must carry state-of-the-art tools and come equipped with a wide range of knowledge to be able to address the complex issues that surround modern locks, keys, and security systems. South Austin Locksmith is a 24-hour locksmith company based in South Austin and we have a local team of mobile professionals right here in Lockhart, Texas. It never fails: You lock yourself out of your home, car, or office at the worst times. When this happens, we are prepared to be your emergency locksmith of choice in Lockhart. Our professionals will arrive within 30 minutes or less and help you get back into your home, car or office so you can get back to your busy life. And if you need quick car key replacement services, we are here for you! In addition, we are available to help repair damages from burglary attempts as well as conduct emergency lock changes if you find yourself in these unfortunate circumstances. Call us when you need 24-hour locksmiths in Lockhart. Whether you find yourself locked out of your vehicle or struggling with ignition problems, you can rest assured that we can help. Our mobile automotive locksmith in Lockhart will arrive equipped with the latest technology, to wherever you are on the road. We can assist you with all types of car keys for all types of vehicles. And, our friendly professionals bring more than five years of experience to ensure that we meet all of your expectations. Today’s businesses have a myriad of security and locksmith needs. With the development of different security systems, the landscape is growing in complexity. Our commercial locksmith professionals have years of training and experience to help meet all your commercial locksmith needs. Here are a few examples of how we can make your business safer and more productive. We can resolve office lockouts, install and repair access control systems and implement master key systems. Our professionals can provide advice about automatic door closer services, panic bar systems, magnetic door locks, and other systems as well as provide installation and repair services. More security solutions we can provide for you include installation and repair for keypad locks, electric strikes, and more! Your home should be a safe haven for you and your family. When you need a residential locksmith, give us a call. We are prepared to help with home lockouts, broken key problems, lock installation and repair, and burglary damage repair. Plus, we can assist you with peephole installations and mailbox lock services. Our friendly technicians promise upfront pricing and excellent customer service to keep your home and loved ones safe. When you need expert advice and counsel on new locks, give us a call. We are well-versed in the top brands of locks including Baldwin Hardware, Kwikset, and Schlage and would be happy to find the best lock systems to meet your needs and budget. If you are locked out of your home, try your other doors and windows to see if you can find an alternative entrance. Just keep safety in mind and never attempt to break in or smash a window. If you are locked out of an apartment, try calling the landlord or repair person. These individuals may carry a master key. 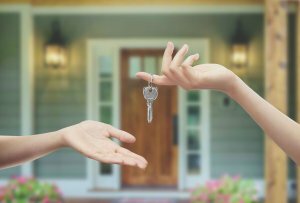 Think about other people who might have a key to your home like a neighbor, friend, family member or service provider like a cleaning company. In the future, consider leaving an extra key with a neighbor or ask us about installing keyless entry systems for you. In the end, if you need 24-hour locksmiths in Lockhart or surrounding areas, call your local team from South Austin Locksmith and get the help you need at prices you can afford. 24-Hour Locksmiths In Lockhart https://south-austin-locksmith.com/24-hour-locksmiths-lockhart/ 4.0/5 based upon 39 reviews.